AACI Board Member, Dan Theodorescu, MD, PhD, Director of the University of Colorado Comprehensive Cancer Center, participated recently in an Energy and Commerce Committee “21st Century Cures” roundtable. Other panelists included, The Honorable Sylvia Burwell, Secretary, U.S. Department of Health and Human Services; Dr. Francis Collins, Director, National Institutes of Health (NIH); Dr. Margaret Hamburg, Commissioner, U.S. Food and Drug Administration; Mr. Michael Milken, Chairman, The Milken Institute; Mr. Dean Kamen, Founder, DEKA Research and Development; and, Mr. William Parfet Chairman and CEO MPI Research. Energy and Commerce Committee Chairman Fred Upton (MI-06), in his opening remarks, stated that the 21st Century Cures initiative affects all Americans as they, their families, or their friends have been affected by disease. Ranking Member Diana DeGette (CO-01) thanked her Colorado friend, Dr. Theodorescu, for joining the panel. Panelist Dean Kamen said that the pace of discovery is increasing, but noted that the U.S. is operating on a 19th Century model and dealing with 21st Century opportunities. Dr. Theodorescu, in his remarks, stated that as a cancer center director he is involved directly and indirectly with clinical trials. In this capacity, he said he receives positive feedback, as well as complaints regarding access to clinical trials. 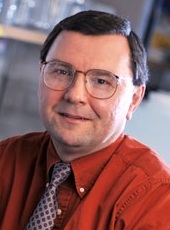 Dr. Theodorescu stated that the biomedical enterprise is at a defining moment for the U.S. He said that personalized and precision medicine is the future and that the U.S., thanks to Dr. Collins’ vision at the NIH, has built an incredible genomic engine and infrastructure, resulting in technology to push forward molecular biotechnology and medicine. He noted that it would be a shame for the U.S. to not capitalize on the country’s leadership in this area, and that the Cures initiative is important from a health perspective, but also for the economy. Dr. Theodorescu said there are tangible things that our country can do to ensure the U.S. maintains its leadership. First, he suggested aligning the reimbursement process with the regulatory process for biomarkers. He said that biomarkers are the part and parcel companions to targeted agents and such items go hand in hand. Dr. Theodorescu stressed that guidelines must be established for biomarker development. Second, Dr. Theodorescu stated that patient protection is also part of translational medicine, but in order to encourage patients to participate, barriers for drug trials must be removed. He said that in trying to protect people, we often dissuade them from participating in promising trials, particularly when consent forms are 40-pages plus. He noted that such barriers also affect investigators. He said that many individuals who want to practice translational medicine and clinical investigation need to find a clear career path without so many hurdles. Dr. Theodorescu said barriers have impact and fewer investigators will want to participate and will leave the field. Representative Kathy Castor (FL-14) inquired about biomarkers, and whether the mapping of the human genome is cost-effective, and would revolutionize health care and substitute expensive and invasive tests. Dr. Theodorescu noted that our country is in the middle of three revolutions; an omics revolution, a data revolution, and a health care revolution. In terms of private and public partnerships, Dr. Theodorescu highlighted the need to enhance the attractiveness of the data the federal government provides to pharma partnerships by providing a coalesced dataset of all available results including molecular tumor evaluations at the completion of all clinical trials that are federally funded. He noted that the University of Colorado Comprehensive Cancer Center is moving toward a data sharing partnership with the Moffitt and Ohio State cancer centers called ORIEN, and stressed that managing and leveraging big data across multiple institutions would help to validate biomarkers. Panelist Michael Milken noted that it is important to the biomedical research community that there is sustainable and predictable funding for NIH. Representative Joe Pitts (PA-16) wondered if there are existing sources of research funding that Congress should examine as it attempts to find additional federal dollars to help advance the next generation of cures. Dr. Collins noted that Congress is challenged with fiscal circumstances but said that medical research is very important. He said that it is becoming increasingly important for the biomedical research community to figure out other ways to support NIH research besides the appropriations process. Dr. Collins stated that identifying the next generation of therapies will help, as well as pinpointing other areas of the federal government with whom NIH can partner. Dr. Collins said he is not in a great position to recommend areas where Congress should look, but admits the NIH has to be creative and make reforms in order to be more efficient. Collins stressed that it is not researchers with their hands out, but researchers who want to be creative and productive. 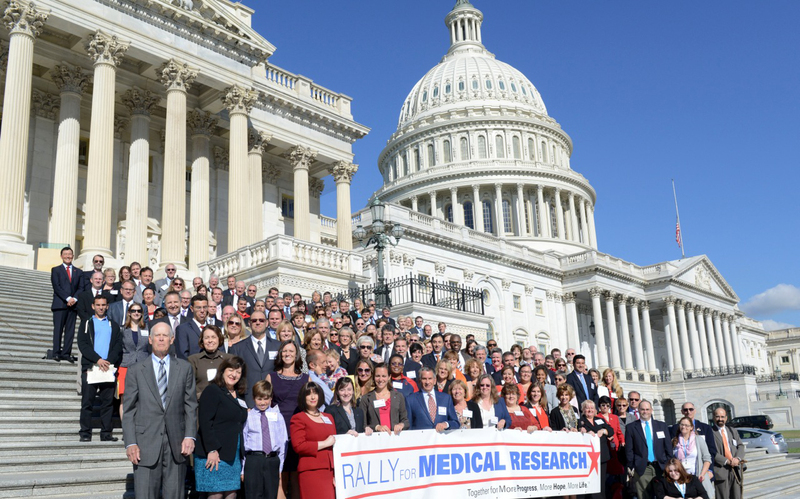 Today, I will join 300 of my colleagues from the biomedical research community on Capitol Hill in support of the Rally for Medical Research. Individuals representing countless disease states, including cancer center directors, researchers, advocacy group leaders, survivors and others, will come together to ask Congress to make funding for the National Institutes of Health (NIH) a priority and stop the decline of public funding for science. Funding to the NIH, which includes the National Cancer Institute, has been stagnant since 2003, and adjusted for inflation, has dropped by over 20 percent. Since sequestration kicked in, cancer centers across the country have been faced with tremendous challenges. Bright, young scientists whose careers just started have left the field, or the U.S. altogether, in pursuit of another career, while many labs have faced the agonizing decision to halt promising research. At a time when labs are on the cusp of breakthrough therapies and precision medicine is changing the landscape of medicine, the federal government must invest more in biomedical research, not less. The partnership between the federal government and our nation’s cancer centers must be strengthened.